Whatever else 2018 brought to the U.S., it was a Costco Wholesale (NASDAQ:COST) Christmas. The wholesale warehouse club’s U.S. sales rose 7.4% for the quarter ending in January, with same store sales up a full 6%. The result was net income of $889 million, $2.01 per share fully diluted, on revenue of $34.628 billion. Profits even exceeded membership fees of $768 million. Regular members noticed. The parking lot of my nearest Costco this past Christmas looked like a Trader Joe’s, and I had to go to another one. Investors were even bigger winners. The shares had hit a mid-December low of $194.50, but opened for trade March 12 at over $229 and are approaching last year’s record high of $241. At its current price, Costco has a market cap of $101 billion, a price-to-earnings multiple over 29, and is worth 72% of its sales. Compare Costco’s valuation to that of Walmart (NYSE:WMT), analysts’ previous favorite. 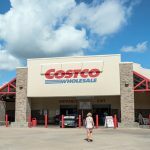 That company has a market cap that is 55% of sales, and its dividend of $2.12 per year yields 2.18%, while Costco’s $2.28 per share represents a yield of just 1.05%. The only thing overpriced at Costco is Costco. No one has named their dog after it, but they’re getting close. Costco caters to upper-middle class, suburban tastes. Its stores feature the finest wines, prime meats, extra virgin olive oil and store brand liquor that’s equal to the best name brands. Its arrangement with Citigroup (NYSE:C) to handle Visa (NYSE:V) cards has proven profitable for both the company and its members (we’re taking a weekend vacation on our dividend). Its growth rate in e-commerce is 24%. Within its niche, Costco is even more popular than Amazon.Com (NASDAQ:AMZN). Small wonder that, even at its current price, 12 of 27 analysts following the stock say buy it and none says sell. Costco does this while paying what workers consider reasonable salaries, with cashiers making almost half the salary of store managers. The company recently hiked its minimum wage to $15 per hour. When you go there, people smile. The problem is that when you buy a stock you’re paying for its yesterdays and buying its tomorrows. The price of Costco stock today is close to the price targets of Costco bulls. Costco is not growing as fast internationally as it is in the U.S., and it is starting to saturate the U.S. market, where it has 535 of its 770 warehouses. It can cost $100 million to build and outfit a new store, and the company is very careful to get the very best deals on them. Rumors of possible new store openings are big news, and when the company walks away there is often profound disappointment. Costco bears are left wishing and hoping that scan-and-go shopping, in which customers scan the items they want and get them delivered, mobile payments with installment financing, or warehouse fulfillment will deliver Costco’s savings with greater convenience. Trouble is, Costco is already doing some of these things. Costco is running on all cylinders. It’s not doing a thing wrong. Customers and analysts know this. This means Costco is a pricey stock. It can’t make you rich because everyone is already in it. Its growth may be limited because it has already scaled. But if anyone knows the future of upper-class consumption, it’s Costco. I wouldn’t bet against it. You may just want to wait for another market crash like last December’s to buy it. A Costco shopper is always looking for bargains. Dana Blankenhorn is a financial and technology journalist. He is the author of a new mystery thriller, The Reluctant Detective Finds Her Family, available now at the Amazon Kindle store. Write him at [email protected] or follow him on Twitter at @danablankenhorn. As of this writing he owned shares in AMZN. Article printed from InvestorPlace Media, https://investorplace.com/2019/03/costco-christmas-last-year/.